☝️ First live is coming tomorrow (Thursday, 11.04.2019) – don’t miss it! we are proud to present the new FutureAdPro Landing Page System. This innovation provides you with the tools to advertise your FutureAdPro business on the internet. Prospective partners may fill in the provided form to get automatically access to a second page with the FutureAdPro video clip. 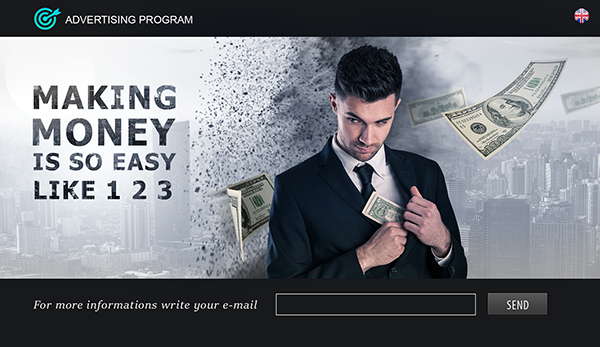 All members holding at least status position III at FutureAdPro have access to the Landing Page System. We will immediately unlock all new languages upon completion. You haven’t reached status position III yet, but would like to advertise FutureAdPro? No problem – please upgrade to status position III now. 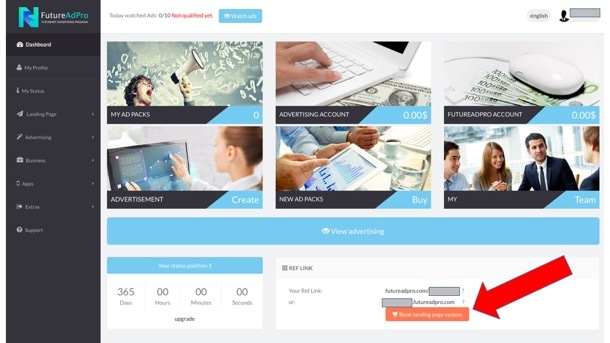 If you want to actively develop your own business with FutureAdPro, we recommend you to upgrade to status position V. Here, you will get the highest remuneration and participate in the revenues of the AdPacks up to 5 levels. What to expect in the upcoming days and weeks? Still this week we will present the new MOMENTUM SYSTEM. In the upcoming days we will grant you access to PAYZA, 2PayforYou and Advcash for commission payments. Everything is well under way. However, were a currently not yet able to announce a precise kick-off date. Please look forward to fantastic opportunities and your personal FutureNet master card for commission payments. Our graphic and video production team works on the completion of a professional 12 minutes business presentation video. The video will be available in Polish in about 5 days. A week later, we will publish it in English, another week later in German. Spanish, Portuguese, Russian, Turkish, French, Italian, Hungarian, Romanian and others.